Aaron Charles Rodgers, more popularly known as Aaron Rodgers is a 33-year American football player. He’s currently playing quarterback for the Green Bay Packers of the National Football League (NFL). 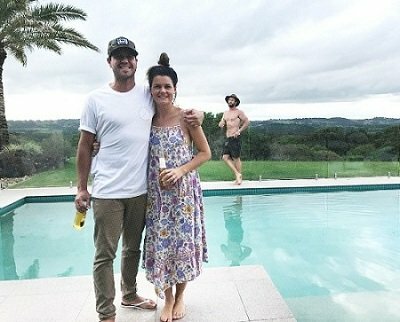 Due to Aarons’ photobombs, I think it’s safe to say that he’s known to the internet world as ‘The NFL King of Photobombs’. 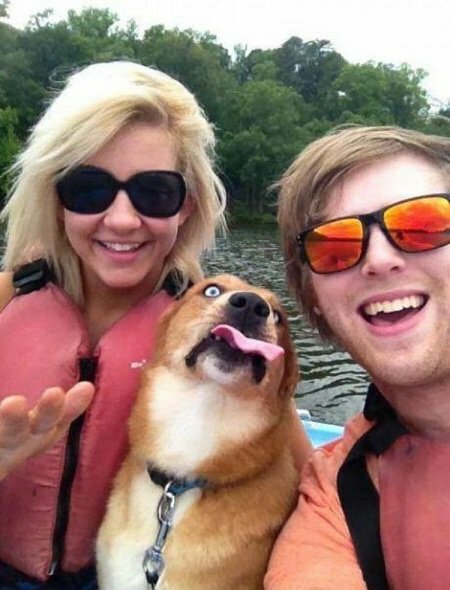 If he hadn’t become a full- time football player, he could’ve been a professional photobomber! Aaron Rodgers was born in Chico, California. His father is Edward Wesley Rodgers, and his mother is Darla Leigh. He has two brothers: Luke and Jordan. He’s part English, Irish and German. He first studied at Oak Manor Elementary School, and then when his family moved to Beaverton, Oregon, he studied at Vose Elementary School. At the middle school, Aaron studied at Whitford Middle School. Then his family moved back to Chico, California, where he attended Pleasant Valley High School. He first studied college at Butte Community College. After a year, he was offered an athletic scholarship to the University of California at Berkeley. He played for the California Golden Bears football team for a year. Aaron Rodgers started his professional career in 2005, when the Green Bay Packers first drafted him in the NFL draft. The team he was hoping for, the San Francisco 49ers, didn’t pick him. They picked the quarterback Alex Smith out of Utah instead. He was the 24th overall pick, but few people know that he’d become the replacement for Brett Favre in the following years. He’s romantically involved with the actress Olivia Munn, and he’s currently residing in Suamico, Wisconsin. He’s the co-creator and founder of itsAaron, a group that tries to create awareness for people and organizations that are trying to change the world. 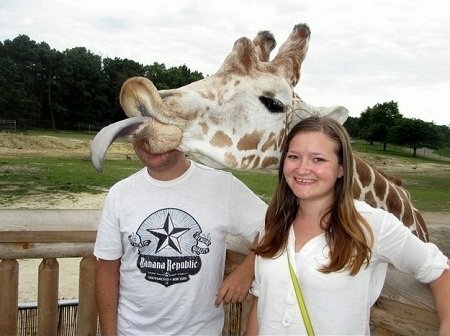 Now, let’s focus on his photobombs. 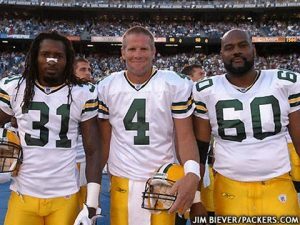 Aaron Rodgers’ first photobomb picture is from his 2006 Preseason Week 1 with the San Diego Chargers. It’s said that this is where his photobombing ‘career’ debuted. To this day many still wonder whether he intentionally did it or if it happened by accident. Well, only he knows. 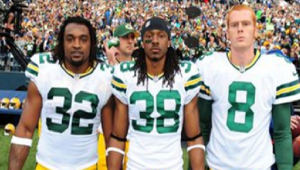 One of Aaron Rodgers’ memorable photobombs is from the 2012 Week 8 at Jacksonville Jaguars. It’s where he wore an eye patch to fit the occasion, and posed together with a friend, Graham Harrell. And James Jones, Erik Walden, and Brett Goode were all clueless to what was happening behind. 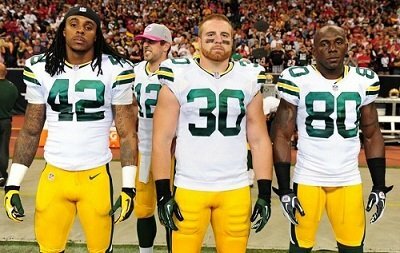 Halloween isn’t the only occasion that Aaron Rodgers is ready to perform a photobomb. Christmas is also Aaron Rodgers’ thing, and this is apparent during the 2013 Week 16 at Pittsburgh Steelers. Sam Shields, John Kuhn, and Jarrett Boykin were all seriously posing for the camera, but Aaron Rodgers dressed as Santa Claus was goofing behind them. He could even promote brands during his photobombs. How? Well, he uses them as props. Just like how he used a Gatorade cup as a ‘phone’, or seemingly pouring two Gatorade bottles on his teammates. Aaron Rodgers’ photobombs not only happen during his time in the NFL, but also at the 89th Academy Awards. 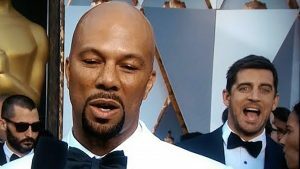 He photobombed Common who was being interviewed by Ryan Seacrest at the time. The NFL King of Photobombs knows that photobombs are the highlights of the night. Even with a straitjacket or a muzzle, I think no one could ever prevent Aaron Rodgers from photobombing people. He would always find a way to photobomb people, inconspicuously or not. He is, and I think will always be the NFL King of Photobombs.